Marketing 101: What are widows and orphans (in design)? “Widows” and “orphans” sound incredibly morbid, and the designer who coined these terms was definitely a macabre lady or gent. However, it does accurately convey how seriously design lovers take this faux pas. In typesetting, widows and orphans are lines at the beginning or end of a paragraph that are left dangling at the top or bottom of a column. This separates them from the rest of the paragraph and, generally speaking, is considered unpleasant looking by the design community. I personally have experienced the woe of having an orphan and widow when working on a downloadable book with our design team. Reviewing the finished copy, the team was distressed over some parts of the copy that when put into the template, created these widows and orphans. “What we were finding was that a lot of our content was very product focused, and really quite technical. 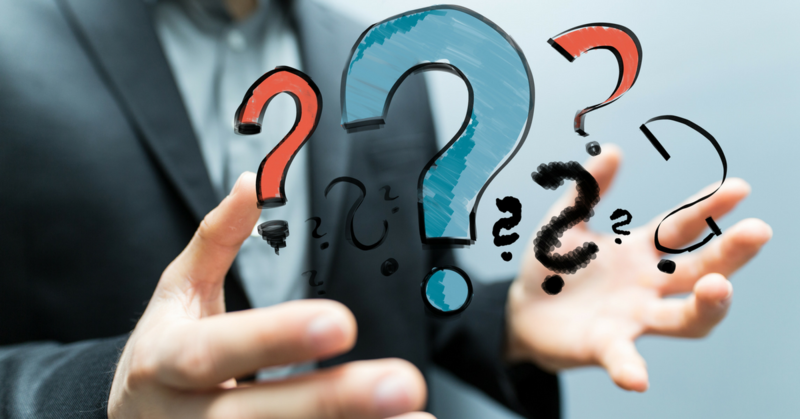 It’s not that we didn’t need that, but we weren’t engaging with customers at the top of their decision making,” said Lindsay Lyons, Director, Global Content Strategy, Dell EMC. Lyons and her team came to the same content revelation that many marketers do — “we were talking about what we wanted to talk about, and not talking to customers about what they wanted to talk about,” she said. In this content effort, they overhauled production efforts to ensure that content went through a stringent and honest assessment. This ensured that the content was not only in the tone that customers wanted to speak in but also in the spaces that they were already interacting in. Marketing 101: What is deduping? 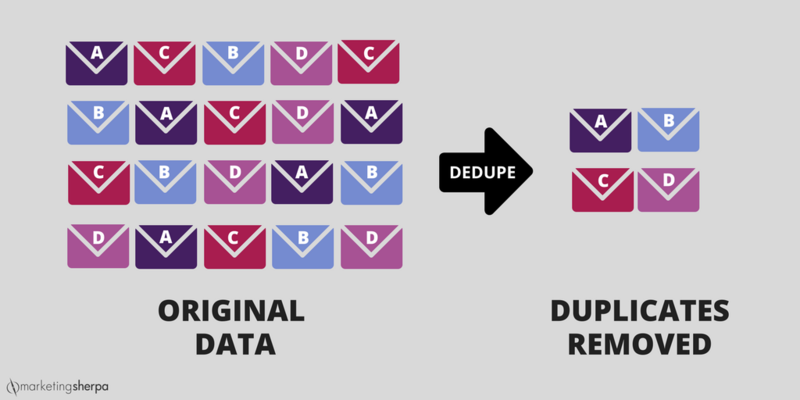 Deduplication, or deduping for short, is the process of removing identical entries from two or more data sets such as mailing lists. Also known as merge and purge, deduping can be done for a lot of reasons. For example, the marketing team for MECLABS Institute, MarketingSherpa’s parent company, need to dedupe lists for its online certification courses. Basically, if a student is enrolled in all four courses, they would be on four lists as a student. So if Erin Donker, Associate Director of Marketing for MECLABS, wants to send an email to all the course students, she would dedupe the master list of enrolled students so that a particularly industrious one who is enrolled in all four courses wouldn’t receive the email four times. While this might seem like something that lives and dies on your landing page, value proposition needs to be brought into every aspect of your marketing, especially your email. It is the channel where customers are going to be interacting with you most. Plenty of email marketers have begun at least light A/B testing — subject lines, images, button colors — but value proposition is often an untapped area of email testing that could lead to serious returns. 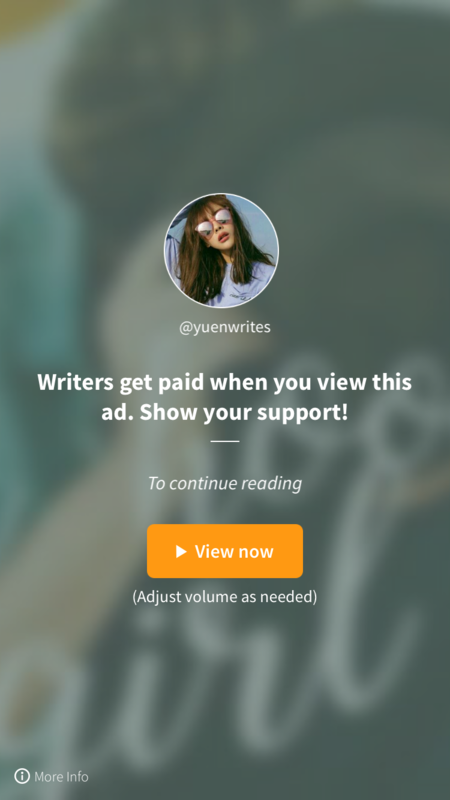 Appeal: How badly do I want this offer? Exclusivity: Where else can I get this offer? Credibility: Can I trust your claims? Clarity: What are you actually offering? Take this recent case study with Willow Creek, which dabbles in all four of these elements, for example. Every few years, everyone everywhere stops what they’re doing to watch the BIG THING that is happening, whatever it might be — the OJ Simpson trial, balloon boy or, most recently, last Monday’s (moon-day’s) total solar eclipse. While it may have culminated in everyone gazing up at the sky Monday afternoon, wearing funny-looking glasses, remember that in the weeks beforehand, they had been looking at and searching for information online. The question for marketers is, do you just watch these events pass you by, or do you capitalize on them for a little social cache? Even our parent company, MECLABS Institute, got in on the moon madness and posted our eclipse party on social media. Email messaging is a constant evolution of tiny tweaks and testing, always in search of the “perfect” formula to keep customers interested and clicking. The ugly truth is, of course, that there is no perfect email formula. You will always need to test to see what is working — and what will continue to work for your customers. You always need to be striving towards value. People will open your email and engage with it if they perceive that it will provide some value or service to them. Marketers and customers shouldn’t be opposed — their issues, concerns and needs are yours as well. So it follows that when you focus on customer-centric tactics that put providing value before promoting your own product, engagement is bound to follow. In fact, according to a MarketingSherpa online research survey conducted with 2,400 consumers, “the emails are not relevant to me” was chosen as the second most likely reason that customers would unsubscribe from a company’s email list. This is something that all marketers struggle with — we getting tunnel vision, focusing only on meeting certain goals instead of looking at the customer’s perspective and needs. Marketing 101: What is a radio button? Radio buttons — what are they, and how do marketers use them? Well, like most marketing tactics, it’s something you’ve seen everywhere but simply might not have known the name for. A radio button can be used in any form where you need people to make choices, like a survey, newsletter sign-up or a lead generation form. This example is from an experiment in the research library of our sister site, MarketingExperiments. With the subject being a large people-search company catering to customers searching for military personnel, the test’s goal was to significantly increase the total number of subscriptions. With a lot of disruption due to the evolution of mobile marketing habits in the charter marketplace in Q4 of 2014, said Jonathan Levey, Senior Digital Marketing Manager, Flexjet, his company began experimenting as well. Jonathan oversees the company’s digital marketing, analytics and advertising as well as covering those same areas for its sister brand, Skyjet. In his MarketingSherpa Summit session, he focused on the development of Skyjet’s mobile app, which he also spoke about with me in the Media Center. Jonathan and his team had a mobile website and began doing Google advertising for it as well, specifically with mobile-only campaigns. In Q1 of 2015, the team saw a 50% increase in mobile traffic to the site quarter-over-quarter and a 177% increase in quote requests from mobile from this strategy.